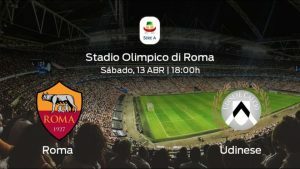 Next Saturday at 18:00 will be the match of the thirty-second day of Serie A, which will face Roma and Udinese at the Stadio Olimpico di Roma. Roma face with reinforced spirits for the match of the thirty-second day after having beaten Sampdoria at the Stadio Luigi Ferraris by 0-1, with a goal by De Rossi. Since the league began, the locals have won in 14 of the 31 games played so far, with a total of 56 goals in favor and 45 against. For its part, Udinese took the win against Empoli during their last league match (3-2), with goals from Mandragora and De Paul, so they intend to take advantage of the winning momentum at home to Roma. The balance in this season of the competition for Udinese is 8 wins in 30 duels played with a total of 30 goals in favor and 43 against. As for the results in their stadium, Roma have won 8 times, been defeated twice and have drawn 5 times in their 15 games played, figures a bit unstable on their ability to win in their fief. In the role of visitor, Udinese have won 1 time, have lost 8 times and have drawn 5 times in their 14 matches played so far, which means that Roma players could have it easier when playing from home. In reference to the statistics between the two teams in this stadium in Serie A, we see that Roma have managed to win Udinese 14 times, while this has achieved victory 6 times and in the other 5 remaining games sealed a draw. Along with all this, the locals are those who have won more times in their field against Udinese and have done so in the last 5 occasions. The last time Roma and Udinese played together in Serie A was in November 2018 and the match ended with a 1-0 in favor of the visitors. With regard to the situation of both teams in the qualifying table of Serie A, we can see that, before the dispute of the match, Roma is ahead of Udinese with a difference of 19 points. Roma is in sixth place with a total of 51 points. As for his rival, Udinese, he is fifteenth in the standings with 32 points.